In order to stop sharing of protected PDF documents you need to stop users being able to save PDF files in unprotected formats. Disabling ‘save’ and ‘save as’ options in an application are just one of many methods you can use to prevent document copying and sharing. Stopping printing, locking PDFs to devices and locations and watermarking documents are also essential in controlling document use. Most applications allow you to open a document and save a copy of it to another location on disk. This is no different from copying a file directly in Windows File Explorer or a similar file browser application. When a document is opened by an application (be that Word, Acrobat, or a browser) a temporary file is created and saved to disk. Any changes made are then applied to the temporary file which may either be saved as a new document or overwrite the existing document. So to prevent Save and prevent Save As from taking place you need to build a special application that does not have these capabilities rather than trying to relying on third-party add-ons to try and control the environment. Some techniques, such as plug-ins, try to prevent Save and prevent Save As by trying to disable Save in PDF (and Save As) by altering the code in the main application. This is not a good approach because anything being disabled by one plug-in may be enabled by another. And because all the functionality is still there a hacker is not stopped from connecting to it. For management control systems that rely on access control mechanisms (non- DRM protected files), you need to prevent Save and prevent Save As so that files cannot be moved to different locations, such as memory sticks or servers or network drives, where the access controls may be very different. The simplest way to disable save and disable save as is not to have the code to do that present at all. The same goes with disable save PDF and disable save as PDF, and that means not using one of the PDF viewers. Locklizard Safeguard viewers prevent save and prevent save as using this approach since it is impossible to use code that is not there. Will preventing Save and Save As give you enough control? Because you don’t want uncontrolled copies of documents being distributed you need to prevent access to the Save and Save As commands because they represent the simplest way of making a copy of a document that has been opened in an application. But it is important to note that when you prevent Save and prevent Save As you are not stopping people from making copies of the original file(s) by using the copy command in Windows File Explorer. So documents also need to be protected (using encryption) and have user licensing (locking documents to devices and locations) and DRM controls (stopping copying/pasting, printing, watermarking etc.) to ensure they are not copied and shared with unauthorized users. If documents are not adequately protected from copying and sharing, then preventing just Save and Save As is not going to achieve much. 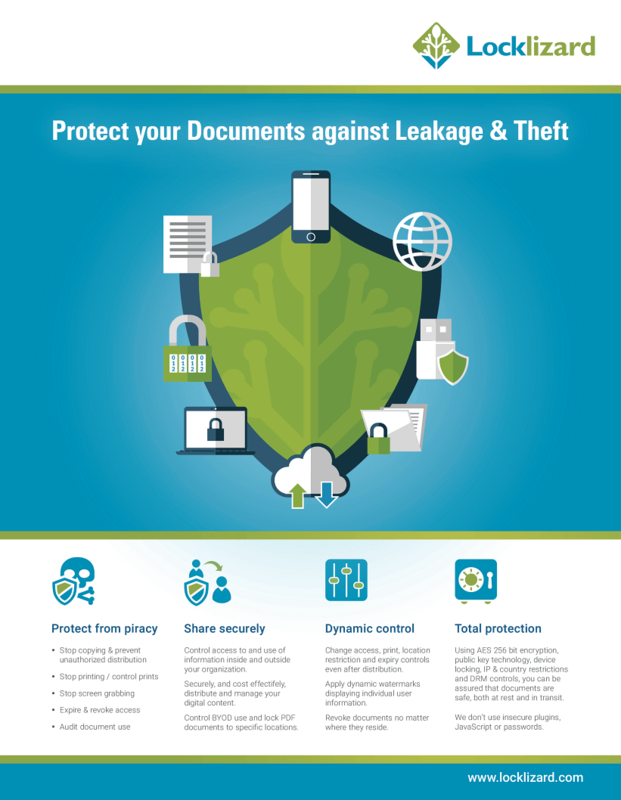 By using adequate document protection you can prevent Save and prevent Save As so that a copy cannot be made without the encryption, licensing and DRM controls, being embedded in the document. Otherwise it might be changed to a format that may not apply this protection (i.e. saving the document as a text file, picture file or a different unprotected document format). There are other ways of copying the contents of a document, but if you can prevent Save and prevent Save As then you will have stopped the simplest and most effective way of making copies of documents. So DRM controls also need you to prevent Save and prevent Save As from taking place to prevent bypassing the controls they apply. If you want protect documents from copying in a browser environment then you need to make sure that content is not cached to disk but served only from memory. You can only do this if you run an application in the browser. Safeguard Web Viewer uses this method to prevent Save and Save As of protected PDF files to unprotected formats. stopping printing to file drivers (PDF, XPS, etc.). Users therefore have to make the extra step of scanning printed documents if they want to make an electronic copy. applying dynamic watermarks to identify users. Users are less likely to share documents if their name is plastered all over it. limiting the number of high quality print copies allowed. logging use so you can see when and where documents were printed. Safeguard PDF Security uses all of the above methods if printing is allowed and enables you to stop users printing documents altogether. Download DRM software that uses digital rights management (DRM) controls to prevent Save and disable Save As of your PDF documents. Prevent printing, copying, and sharing, of your PDF files. Locklizard DRM software ensures the security and use of your information by preventing saving of content in unprotected form and enables you to control what users can do with your content and how long they can use it for. Our DRM PDF Security products enable you to share documents securely without insecure passwords or plug-ins, and enforces access, location, expiry, and usage controls. Revoke PDFs at any time regardless of where they are.